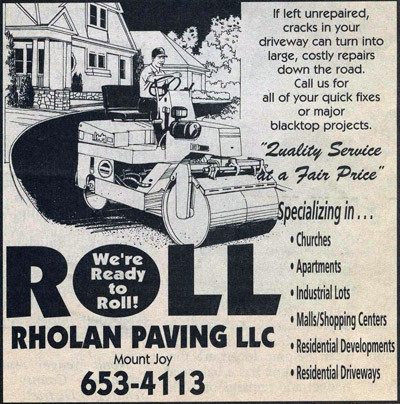 Roland Paving, Inc. was established by Lester Roland over 50 years ago at our current location in Mount Joy. 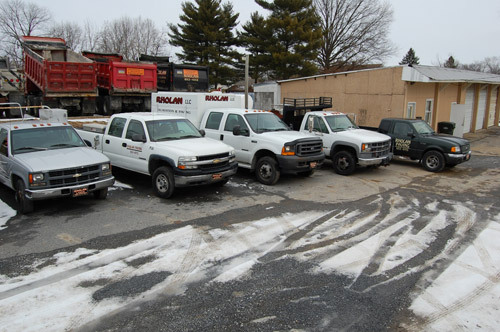 In 2000, the current owner Alan Nelson, purchased the business and changed the name to Rholan Paving LLC. 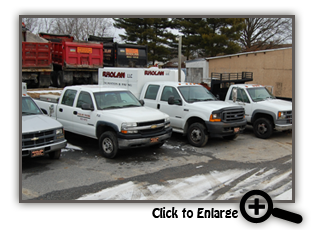 Today, Rholan is a family-managed business focused on performing quality work with integrity. The same honesty, family values and high standards that attracted customers 50 years ago is propelling our current growth and customer satisfaction. Rholan Paving LLC offers excavation, grading and quality paving services to the Lancaster, York and Harrisburg, PA area. We pride ourselves in putting honesty and quality first. When you call on us to perform an excavation project, paving of your driveway, or lase grading of your athletic field, you can count on quality work at a fair price! Rholan offers complete site improvement packages. If your project involves associated tasks, such as concrete pads, trench drains, retaining walls, downspout drains, etc., we are able to accommodate you and complete your entire project. Clients include residential and commercial, including schools, hospitals, townships and borough water and sewer authorities, malls and shopping centers, and hotels.